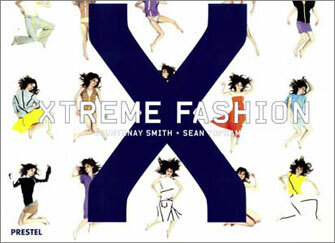 In Xtreme Fashion authors Courtenay Smith and Sean Topham turn their attention to the fashion world, where haute couture is taking a backseat to serious concerns about the environment, personal safety, and privacy. Featuring more than 300 color photos and fascinating text, the authors show how real fashion starts on the streets, born of urban conditions from gang culture to teenybopper worship. They showcase the works of designers, artists, and other creative individuals such as Moreno Ferrari, Freddie Robins, Vexed Generation, Alicia Framis, Daniele Buetti, Lucy Orta, and Hussein Chalayan to illustrate the demand for clothing that can protect, extend, alter, mark or mask the human body. Putting forth the idea that truly extreme fashion is not designed to be outlandish, but useful, Xtreme Fashion looks beyond the latest hemlines and “new blacks” to clothing and accessories that respond to the world we live in. ‘Fashioning the Future – Tomorrows Wardrobe‘ is the latest and most comprehensive ‘up-to-date’ book about Wearable Electronic and Textile technology innovation. 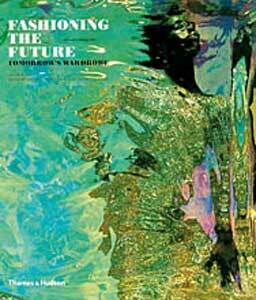 The author of ‘Fashioning The Future’, Suzanne Lee, is a Senior Research Fellow in Fashion at Central Saint Martins. The book was published by Thames & Hudson in 2005. 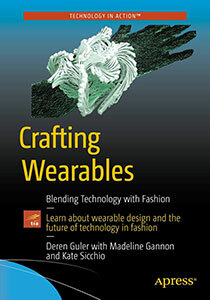 Fashioning the Future gives an excellent overview of the state of the art in fashion and textile innovation. Works from the big names of today’s fashion avant-garde such as Walter Van Beirendonck, Hussein Chalayan (his recent work has been covered in our Blog), and a peek into the research labs around the world. 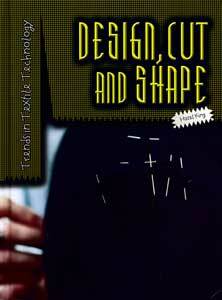 This is a fantastic series for budding fashion designers. 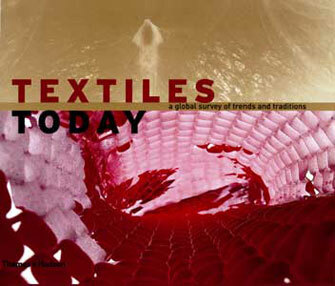 It supports the study of textiles technology and provides fascinating information for students of art and others with a creative interest in textiles.It is packed with ‘how to’ techniques and project ideas. It features explanatory diagrams to help readers grasp the sometimes complex concepts. Where relevant, scientific explanations are covered to provide a full understanding of textiles. Careers information on the range of possible jobs and qualifications are highlighted throughout the books. It includes information for further reading, websites, places to visit, contacts and a glossary. Textiles owe their development to religion, commerce, exchange and travel, and their vibrant and creative preservation to tenacious regionalism. Artists and designers from India, Mali, Madagascar, Morocco, Burkina Faso and Nigeria have reinvigorated art and fashion by using the fabrics and graphic elements they find on the streets of London, Paris and New York and other cities. Extraordinary technological developments, from colour-changing, light-sensitive camouflage to emergency shelters of cement-impregnated fabric bonded to an inflatable plastic, are included here alongside the simply beautiful, such as Eley Kishimoto’s patterns that point to the historical exchange of ideas between the East and the West, or the astonishing colour transmutations of Morphotex. 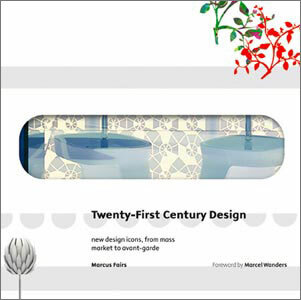 “Twenty-first Century Design” is the a fascinating survey of the contemporary design landscape, guiding the reader through the intoxicating array of contemporary movements, styles and trends, and identifying today’s leading designers, as well as future design classics. This pioneering publication places the contemporary scene in a historic framework and explores cultural and economic forces shaping design now and in the years to come. Accessible and engaging, it charts the incredible explosion of design worldwide and discusses cross-fertilization between design movements in what is rapidly emerging as one of the most exciting industries in the world.